Passenger liner built at Vlissingen for Royal Rotterdam Lloyd as Willem Ruys. She was laid down in 1939 but not completed until 1947. 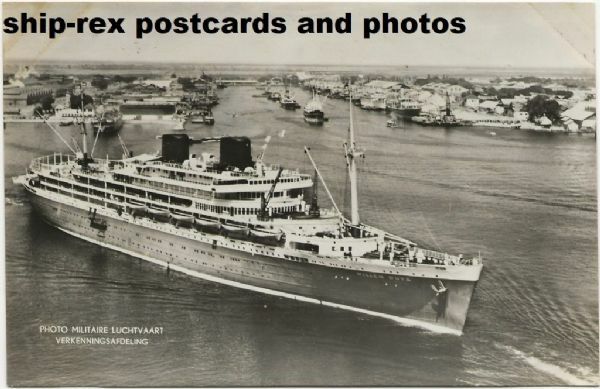 Originally serving on the route from the Netherlands to the Dutch East Indies when this trade diminished she spent a short time on transatlantic services. 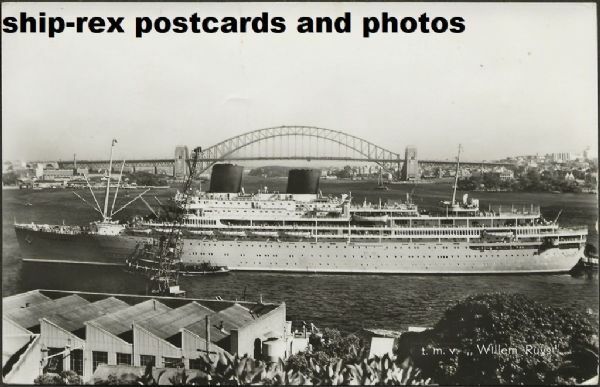 In 1959 she was rebuilt for Round The World voyages but in 1964 was laid up. 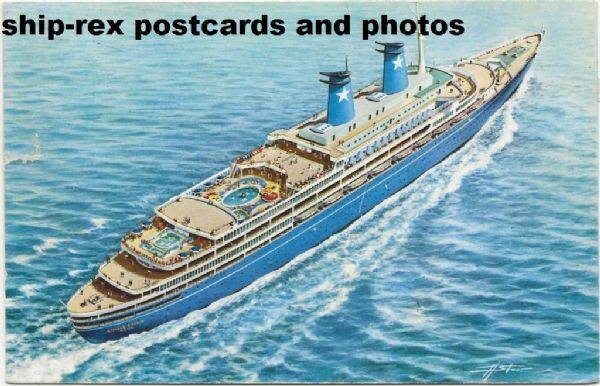 Purchased in 1965 by Flotta Lauro she was renamed Achille Lauro to serve on Europe-Australia routes. 1972 she was converted for full-time cruising. In 1985 she was hijacked by the Palestinian Liberation Front and an American tourist was killed. Finally in 1994 she caught fire and sank off the coast of Somalia.